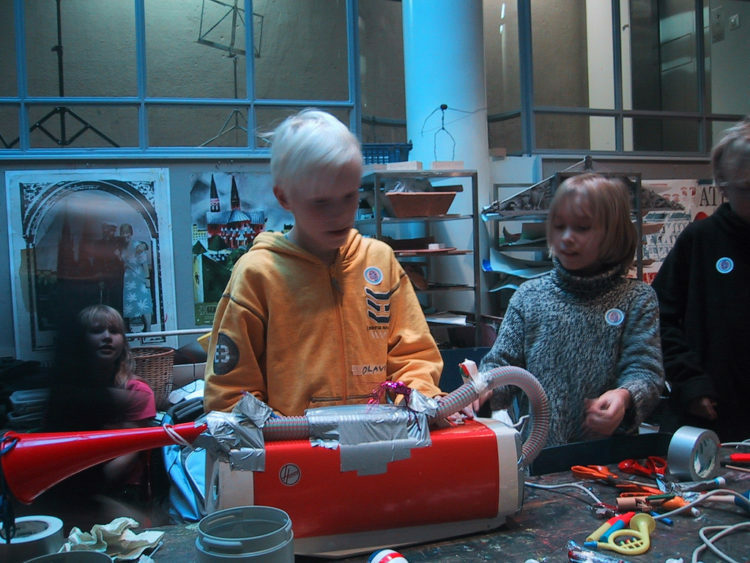 At Avanto festival we gave an instrument workshop for children aged 9 to 12 at the Ateneum Art Museum. 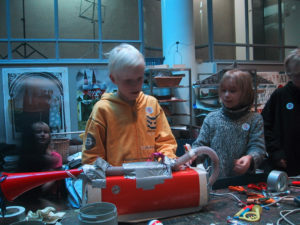 The result of the workshop was performed by SSS together with the young participants of the workshop at the Kiasma Theatre under the title Staalplaat Soundsystem & The Helsinki Filharmechanic Youth Orchestra. The orchestra was conducted on a simply number-based system, the kid’s used flash lights on the half dark stage to switch on and of their instruments while iluminating them. For this we prepared light sensitive switching boxes for the single instruments. The performance was a part of Kids’ Avanto. Staalplaat Soundsystem & The Helsinki Filharmechanic Youth Orchestra at Kiasma Theatre on Sunday, November 20th at 19:30.